With the biggest retail season of the year right around the corner, now’s the time to start thinking about targeted advertising to capture as much of this bountiful market as possible. If you already have a paid advertising campaign, you need to redesign your ads to consider this audience. After all, the most successful paid ad strategies are flexible and reflexive, and take into account the specific audience that they will be reaching. Writing ads for Christmas season searchers means thinking about who they are, what they’re looking for, and how you can quickly prove that you can meet their needs. The following tips will put your ads a cut above the rest. Figure out their goal. Christmas shoppers have a distinct purpose – to find gifts for various people in their lives. A lot of the time they want ideas for gifts, as it’s easy to draw a blank. Therefore rewriting your ad copy to something like, “Fool-proof Christmas Gifts For Dad” will help draw in many of the people who are searching around Christmas time. Of course you also need to stand out, so mention your specialty as well. Be specific about your service. Christmas can be an overwhelming time for consumers, with so many businesses and retailers competing for their attention and wallet. Special deals will help you stand out, but you need to dig deeper than that. Ads offer limited space, so pick out one thing that your business can offer that others can’t, ideally using real numbers. Remember to create different ads for different keyword groups, and to link to specific landing pages. Add a countdown timer. The biggest thing about Christmas is that it’s a deadline – everything needs to be found and bought by a certain date. You can play off this sense of rush and urgency by installing a countdown timer into your Google AdWords ads copy. Count to the end of a special offer or sale just for the Christmas season, and make it sounds like it’s too good to miss out on. Localise your service. 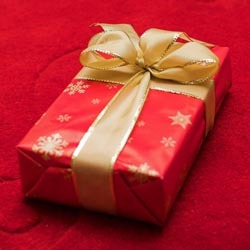 When it comes to Christmas shopping, consumers want something close and easy to obtain. Using a local phone number has been shown to increase conversions, and if you’re a retail store, fast shipping options can help convince a time-strapped consumer. Writing targeted ads for Christmas is the best way to take advantage of the holiday season boost. If you already have an advertising campaign, it’s still essential to switch up your copy to address this potentially lucrative audience.